in his final in-depth UK interview from 2010 during his last visit. 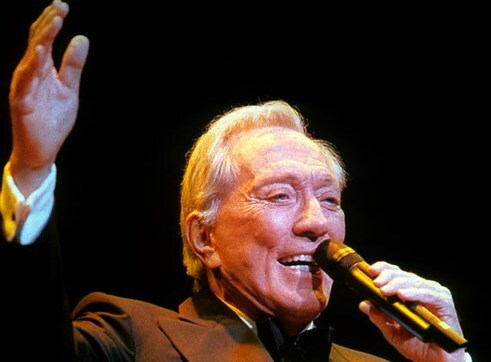 American crooner Andy Williams died on September 25 at the age of 84. To mark his passing, here are five great performances from The Andy Williams Show. He might be more Brucie than Jools, but his TV variety show had its fair share of legendary guests in a 12-year run from 1959 to 1971. #9 EDDIE FISHER AND BOBBY DARIN 5:44 "Do RE MI"
BBC 4 on 9th October, 2009 called "Andy WIlliams Duets".